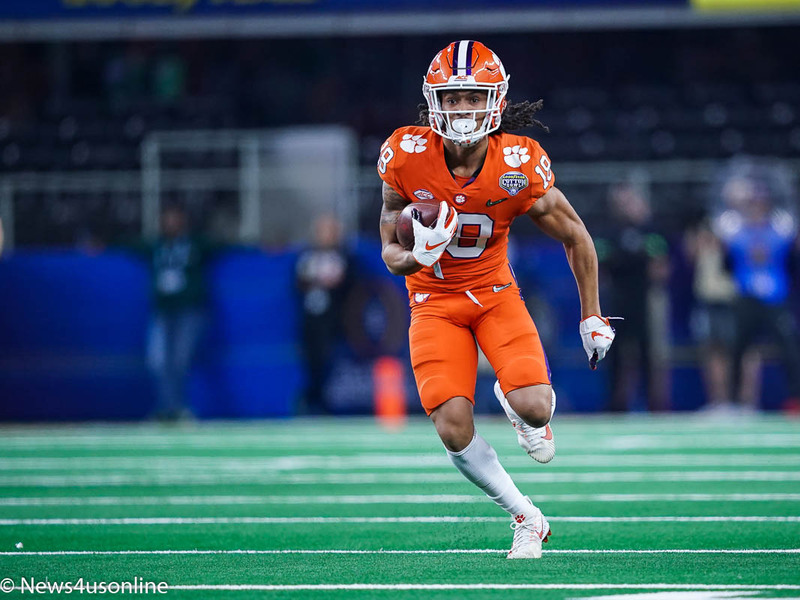 ARLINGTON, TX-Before taking on No. 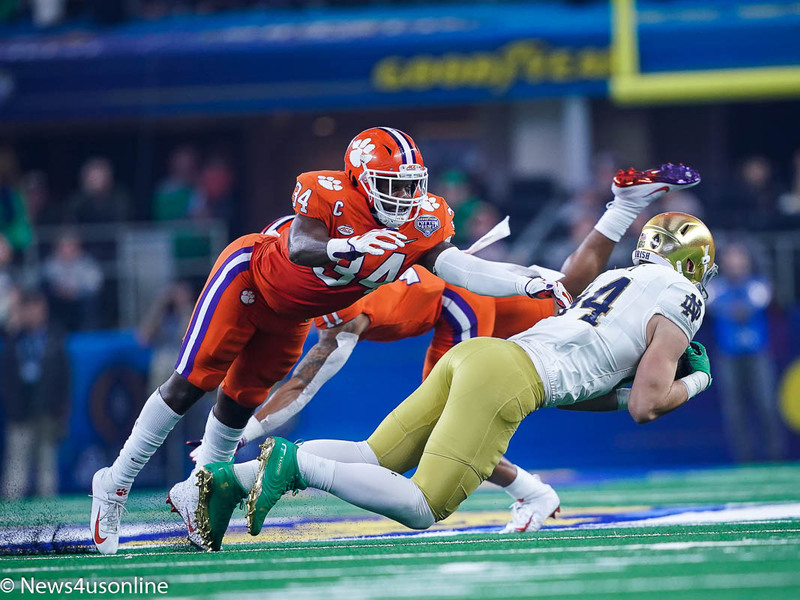 1 Alabama in the College Football Playoff National Championship Game in Santa Clara, California, the No. 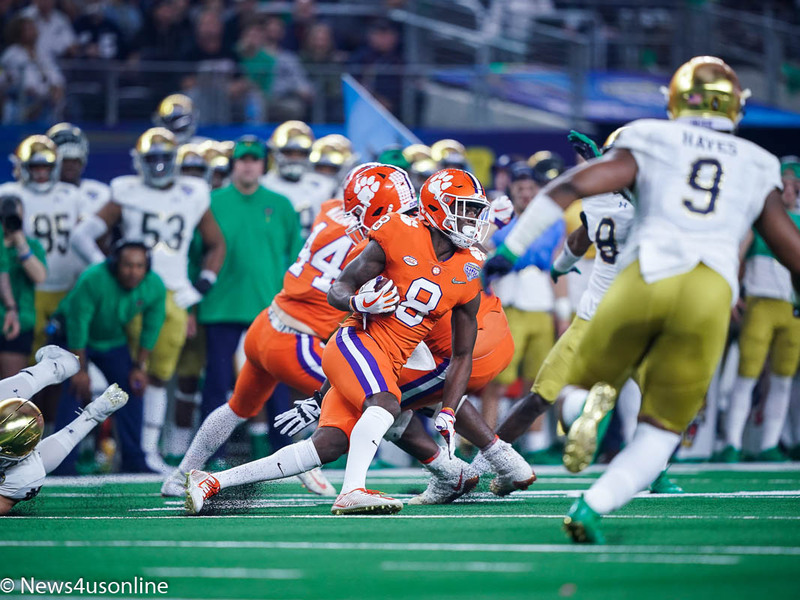 2 Clemson Tigers met up with No. 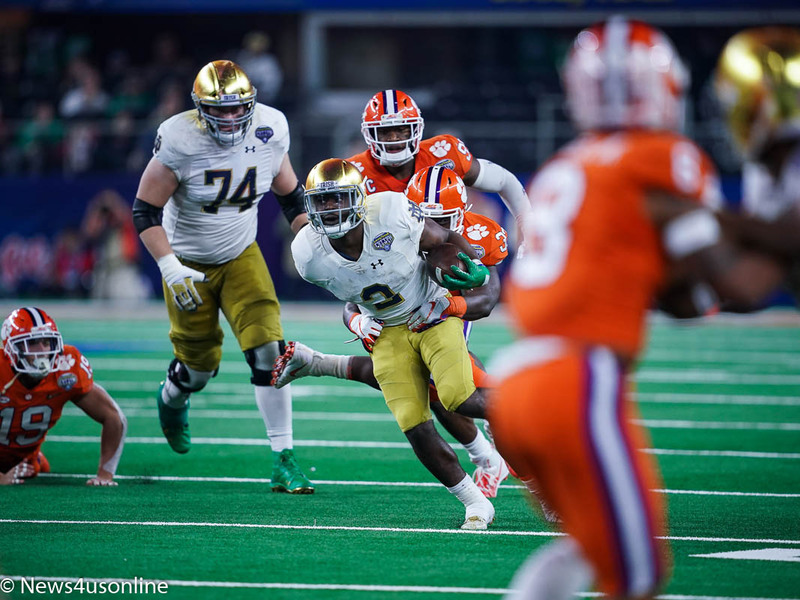 3 Notre Dame in a semifinal game played at the Cotton Bowl in Arlington, Texas. 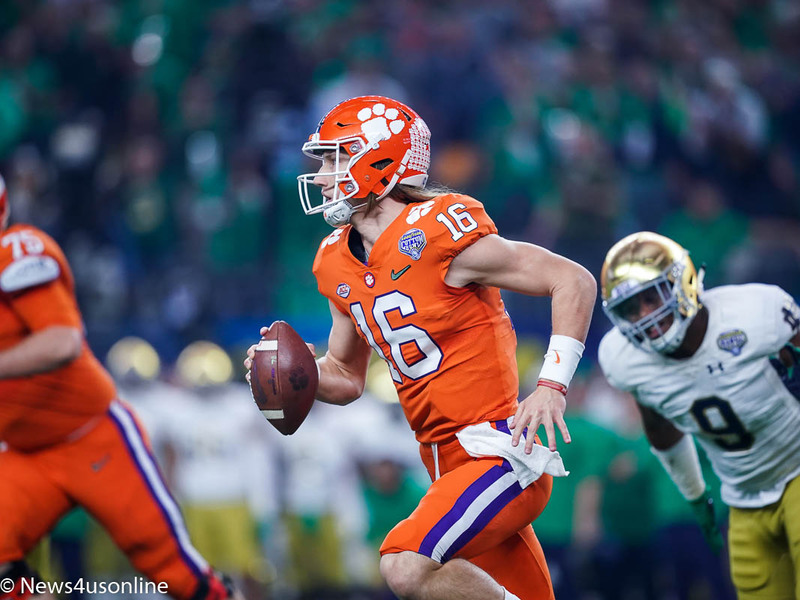 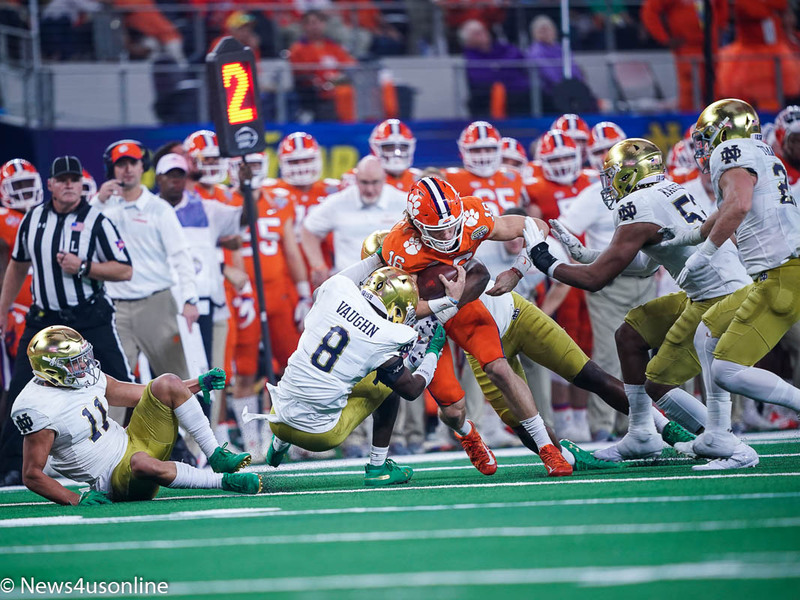 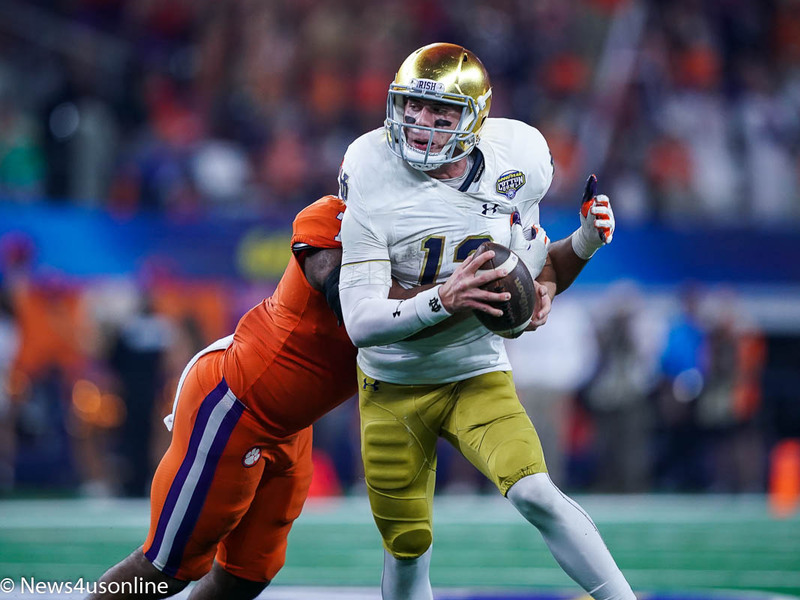 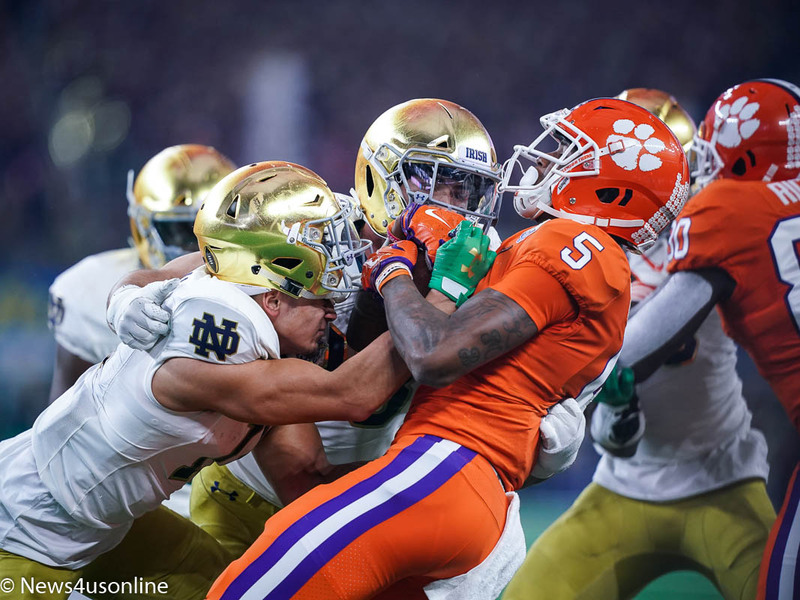 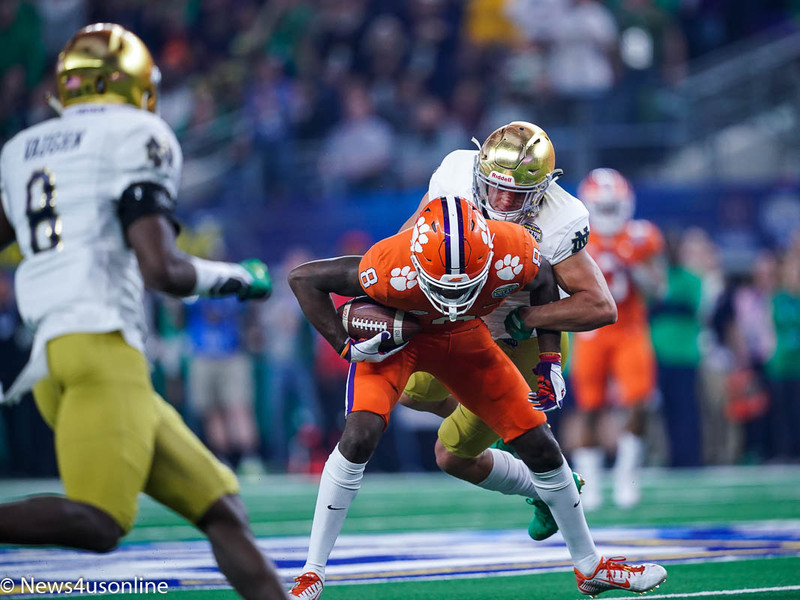 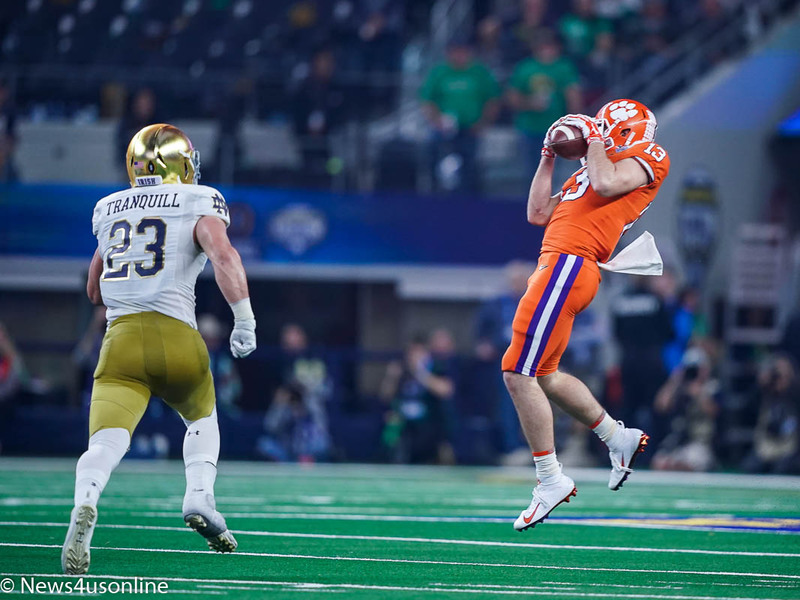 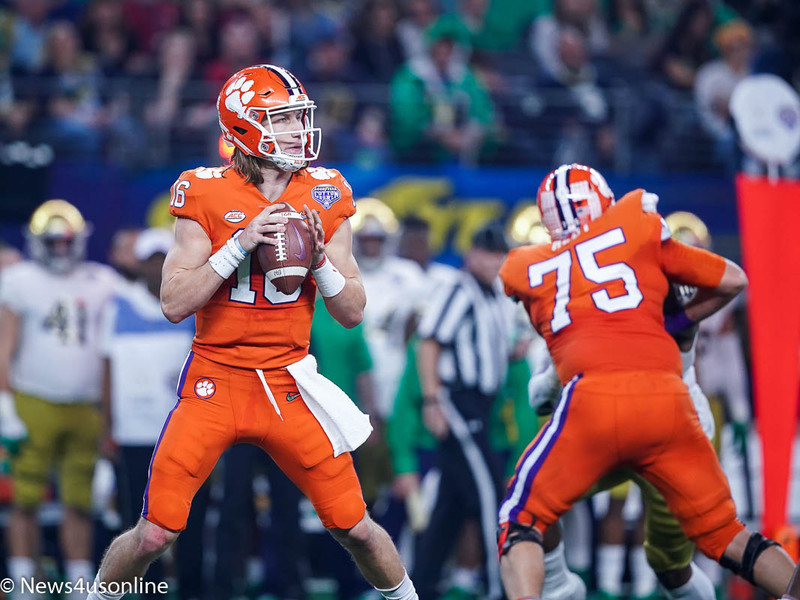 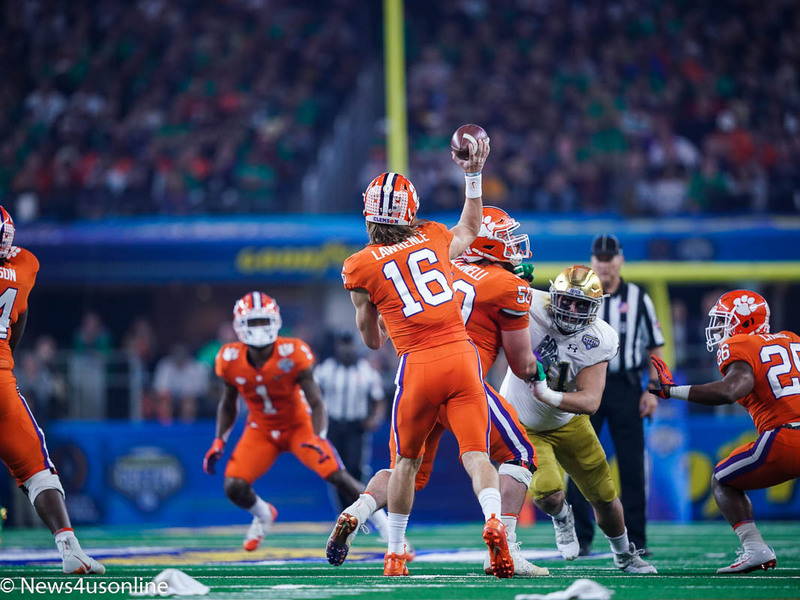 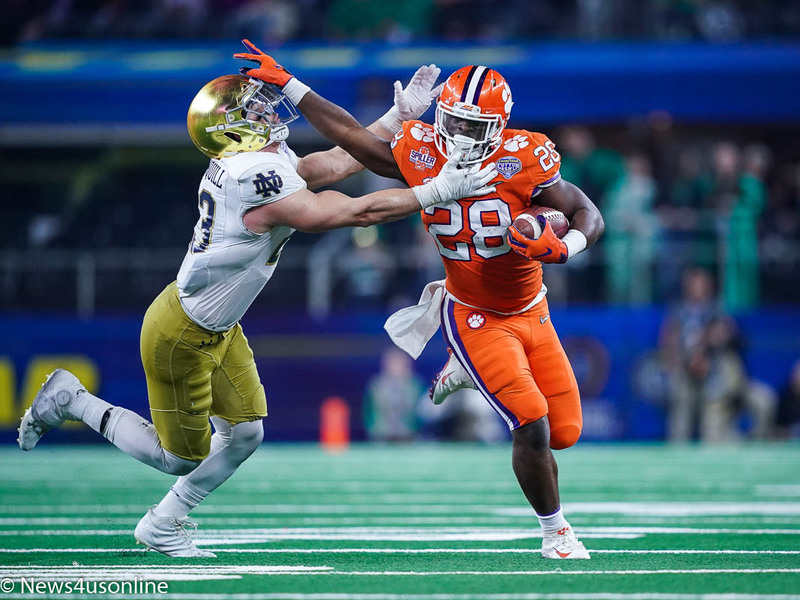 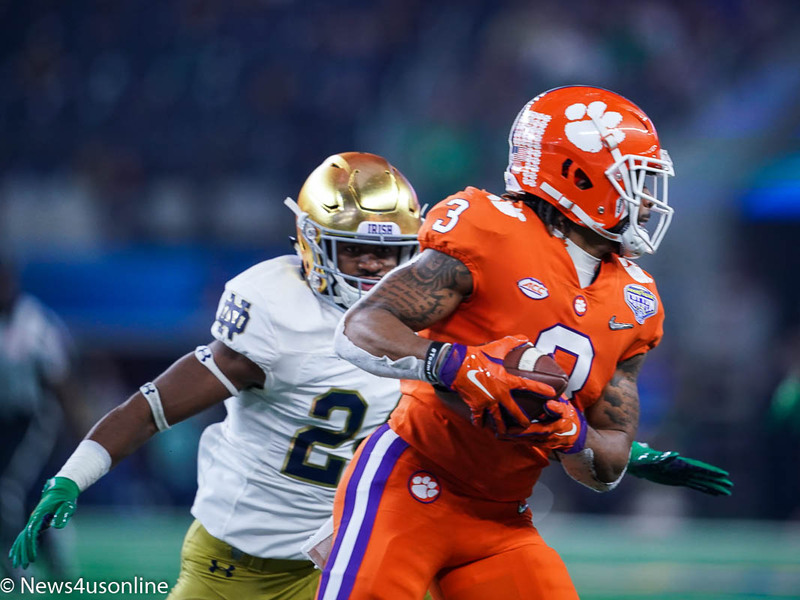 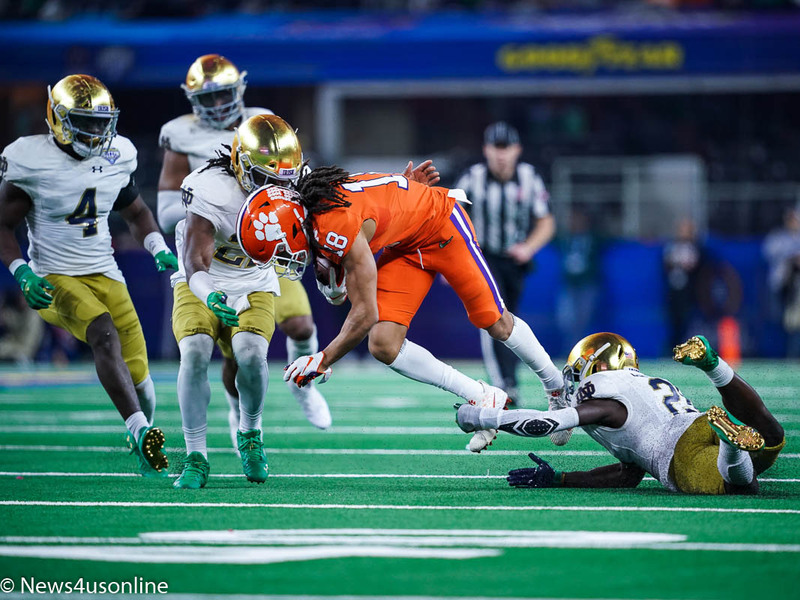 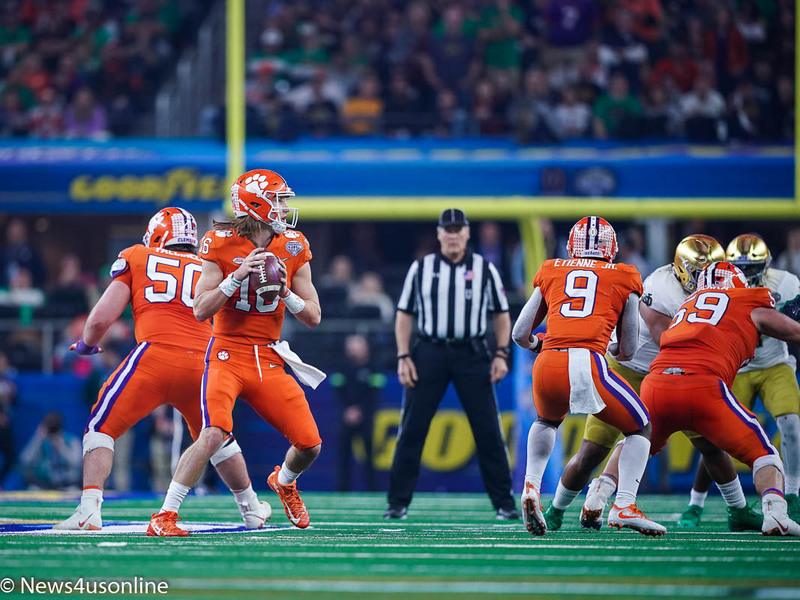 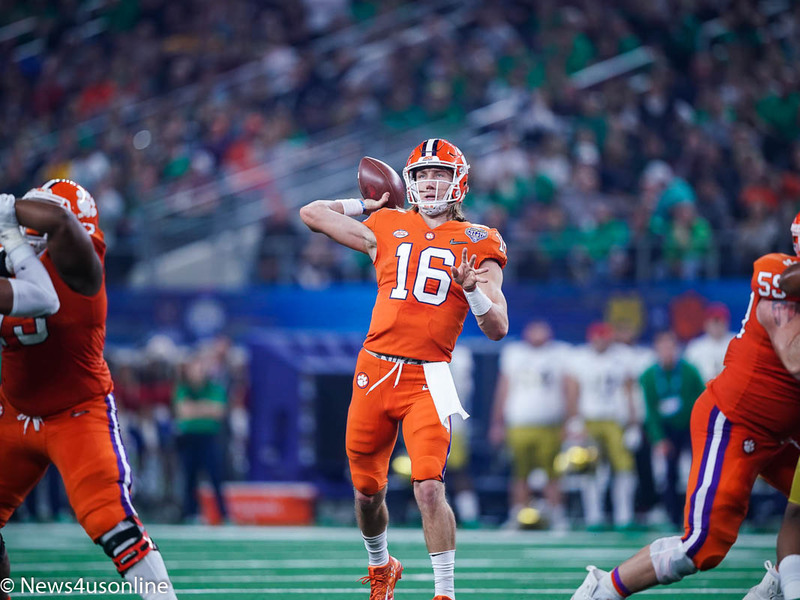 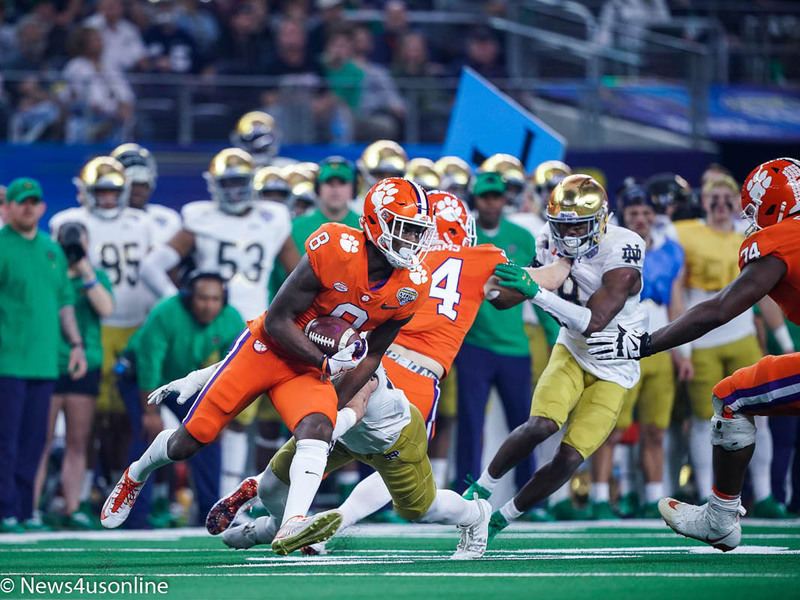 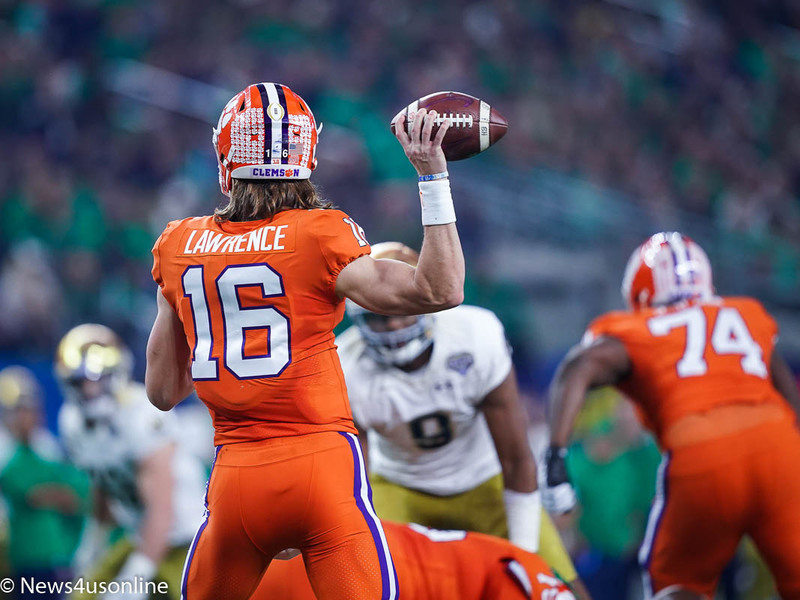 The contest turned out to be a lopsided mismatch as the Tigers ran through the Fighting Irish with a 31-0 shutout victory. 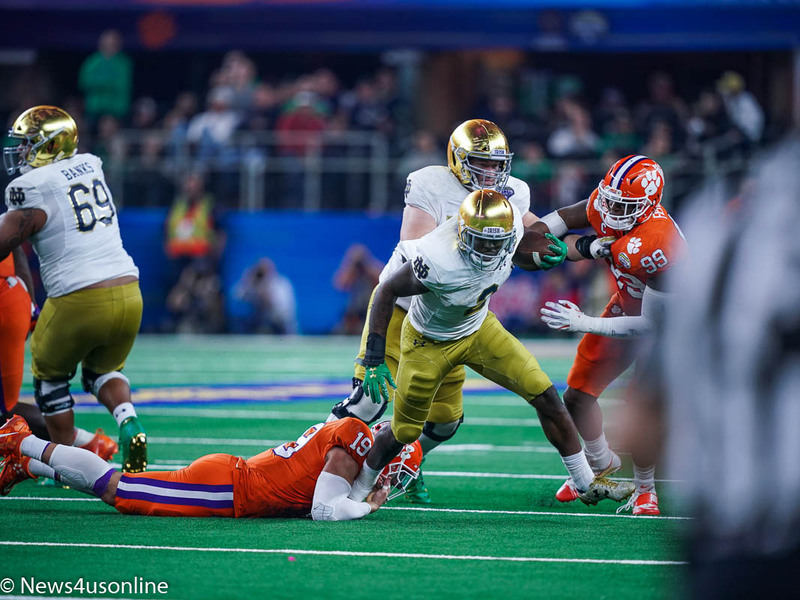 Photographer Michael Lark captures the action on the field from that game.